Moorside Primary School is a large, three-form entry primary school in the city of Lancaster. A truly multi-cultural school, the catchment has children from all over the world, with 40 languages represented throughout school and a wide range of diversity in terms of culture, religion and life experiences. Their strapline, ‘Space to Learn; Room to Grow’, underpins their ambitious curriculum, where everything is driven by engaging topic themes that encompass the skills of all the National Curriculum subjects, enabling children to become 21st Century explorers, equipped with subject-specific skills, emotional resilience and ambition. All their learning is purpose-driven and set in context, with learning outside the classroom being a central part. Moorside Primary School is a Learning Away Champion School. 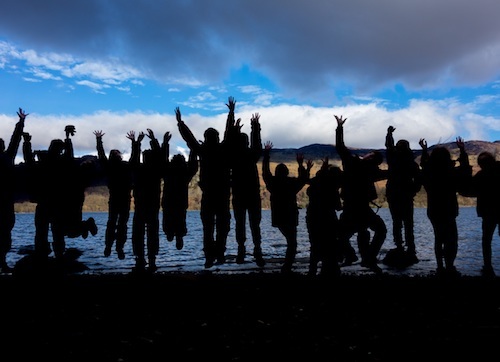 In this case study, Deputy Headteacher, Jonathan Whitwell explains how their brilliant residential experiences lead the curriculum for all their pupils. Moorside’s rationale for learning outside the classroom is that we offer opportunities and experiences that differ from those that children would generally undertake with their parents, widening their life experiences and giving them the immersion in an area or topic that would not necessarily come from a day visit or family holiday. Our residential visits form a major part of our curriculum and are well-embedded into our comprehensive topic units, rather than being stand-alone, or the all-too-common, ‘tokenistic’ Year 6 residential. All our residential experiences are staff-led, challenging the culture of handing children over to staff at an activity centre. The benefits of our residential programme are that our children leave us being well-rounded, confident individuals who are not afraid to take risks, push the boundaries of their comfort zones and are resilient and thoughtful learners. All learning beyond the classroom fits coherently with our topic work. Nothing is stand-alone or tokenistic and we use our residential programme as the central focus to many units of work. Sometimes the residentials form the launch for the topic; in other year groups, they are mid-way through or a finale to the topic work, whichever fits the learning best. Working alongside other members of staff in school enables them to develop their confidence and experience at delivering learning beyond the classroom. 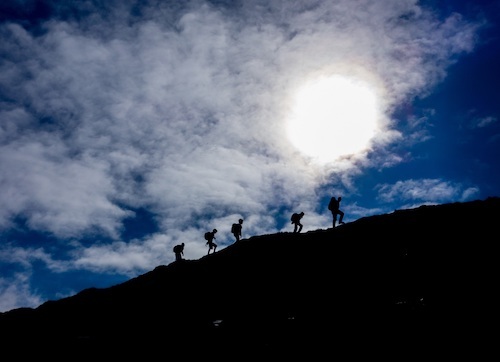 Where we work in partnership to deliver residential packages – for example with Cumbria Outdoors – we work closely with the providers to tailor-make a bespoke package that addresses our learning needs and builds on the skills from previous experiences. All our visits build in risk and let children push their limits and comfort zones. Our Year 1 children are currently taking part in a pilot visit to Malham in December to develop their understanding of the seasons – weather, animal hibernation patterns, the night sky – whilst taking on the beginnings of navigation and geographical fieldwork. Year 4 children develop their mapwork and navigation skills further with a two-day Spring camping expedition to Grizedale Forest, where they have to find their own way through the forest using maps, clues and teamwork, before setting up camp fires and exploring the forest under cover of darkness. This visit forms the centrepiece for their Forests topic, beginning with UK forest ecosystems and moving on to rainforests. A three-day Viking-themed adventure for our Year 5 children also takes place in winter, with children living as Vikings – not just sitting in a museum listening to someone talking about them. This visit launches the Year 5’s Vikings-themed term of work, giving them a sense of empathy to further develop their historical understanding once back in school. 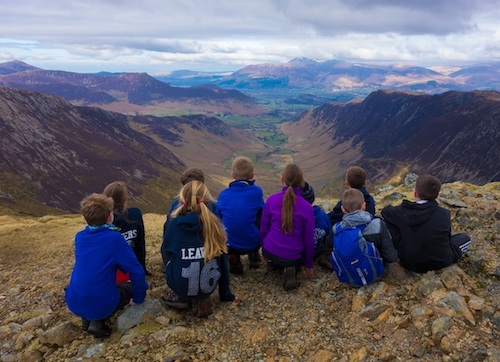 Perhaps controversially, Year 6’s residential visit takes place right before SATs, to reinforce the message that outdoor and adventurous skills are just as important as any academic skills. This also means that children (and teachers) have a break and come back for the rest of the summer term refreshed, re-energised, more resilient and having built new relationships. Our week away in Keswick in the Northern Lake District is the launch for our Survival topic. We explore the Lakes from every angle and everything is real – no plastic simulations, no indoor replicas. We are out on the lake sailing, canoeing and kayaking; climbing up waterfalls in a real ghyll; rock climbing on real crags; mountain biking through Whinlatter Forest and exploring multiple mountain summits on our full-day mountain walk, whilst setting our own geocaches. We also head out at night on stealth missions and put something back by taking part in conservation activities. An addition to our residential programme is our French language residential to Northern France. Again, this is entirely teacher-led by our French teacher and open to children from Years 4 – 6 who wish to develop their language skills in real contexts – buying products at a real French market or ordering their own food in a café – whilst being fully immersed in French culture, without an activity centre in sight. The programme also builds up resilience in terms of taking responsibility. For example, the Year 4s have to consider their overnight accommodation needs, and the children on the French residential choose and buy their own food. Our rationale for the outdoor and adventurous activities residentials (Year 1 – 4 and 6), is that children will become familiar with both National Parks on our doorstep – The Yorkshire Dales in Years 1 – 3 and The Lake District in Years 4 and 6. It is important to point out that many day visit experiences are planned between the residential visits to further develop the children’s skills. These take place throughout the year and include caving adventures for Year 3, in real caves far from any showcave or gift shop; adventure walking days for Year 1 children to inspire them to write their own books whilst getting muddy and wet in the Yorkshire Dales in February. The residentials are planned to happen throughout the year, so experiences vary depending on the weather / time of year, for example, snow, ice and cold temperatures enhance our Winter-themed residential in Year 1 (rather than being something to avoid), whereas we go camping with Year 4 in Spring to try to make sure children’s first experiences of camping are in temperate weather with minimal midges. Each visit is built with awe and wonder in mind, alongside subject-specific skills such as geographical fieldwork. Children and staff are fully engaged throughout the whole time away, not just in ‘activity sessions’. Any family that feels that money is a barrier to their child attending one of our curriculum residential visits is encouraged to seek advice from school. We never turn children away from a residential if they want to go and find a way of funding their place in collaboration with their parents. We also access the Youth Hostel Association’s Educational Breaks Programme bursary scheme for the Year 4 Grizedale residential. All our outdoor and adventurous activities curriculum – including day visits, work in school and our grounds and residentials are coordinated by me as the Deputy Headteacher. I also have responsibility for the whole-school curriculum as a whole, therefore topic units are strategically designed with residentials as a central focal point. Our pioneering residential programme has the full support and backing from our Headteacher and Governors. All teaching and learning that takes place in school addresses the needs of the class, cohort and individual children. Units of work are tailored to the needs of the learners, in terms of academic attainment and progress, social and emotional development and building learning power. Residentials are part of this planning process and do not stand-alone, therefore are equally well planned to cover these aspects of learning as any other part of the curriculum. Our visits are also fully inclusive. An additional residential visit, for children with additional needs, has also been trialed last year, to enable vulnerable learners to develop their resilience skills further, either to enable them to take a more active role in the other residentials, or as an additional experience. Our residentials are all led by our own staff. Having our own staff leading such experiences ensures a bespoke package that links directly with the topic work being undertaken in the classroom and all the learning that takes place is relevant, child-focused and individualised in context. Work leading up to our residentials builds up the skills and experiences that children will need whilst away, whilst on our return, the skills gained on the adventure will be further developed. I lead most of the residential visits with my expertise in outdoor adventure. I am well-supported by other staff members, who are therefore observing good practice and learning themselves. Staff expertise is taken into account at the planning stage and different staff lead different aspects of the visits to play to their strengths, for example our Headteacher is a history specialist and takes joint responsibility for leading Year 5’s Viking residential. Our French teacher leads our French language residential, knowing the level of French that different children have (as she teaches everyone from Year 3 – 6), so their experiences can be tailored to suit their needs and challenge them further. In addition to teaching staff, we have a core team of outstanding teaching assistants who are involved in our residential programme, giving as much support and input as the teachers. This means that all the staff involved in any residential are as engaged, committed and involved in the planning from the outset. As our residentials form a focal point for the topic units in which they are based, children are fully involved in planning and preparing for their residentials. A great example of this is our Year 6 children planning their mountain adventure days in advance, using their Ordnance Survey map skills and techniques from mountain leader training, such as considering varying options for different weather conditions, contour interpretations for height-gain and timing and also using geocaching locations to give the mountain days an extra challenge and incentive. All our residentials involve the development of collaborative relationships. Rather than relying on tokenistic (and often dreary) team building challenges, the collaboration is included in the activities, for example Year 4s take turns to lead the way through Grizedale Forest to find their accommodation for the night; they work in pairs and not only navigate and lead the way, but check on the welfare and safety of the whole group during their stint as the leaders. Staff often take a more passive role, allowing children to take the lead and include and consider the adults in their planned activities. Building these aspects into the activities makes them much more worthwhile and embedded than learning about teamwork separately. There is certainly no ‘writing about our trip’, which completely kills all the fun and adventure and does absolutely nothing to build on the skills and experiences gained. We focus on teaching and developing skills, not writing weary recounts. The skills planned into the residentials fit with their development either side of the time away (this is why some residentials are planned for the beginning of units / some in the middle / others towards the end). This varies between visits e.g. children need to know how to use a GPS before going geocaching, whereas you can’t identify trees without being in a forest looking at them and you can’t empathise with the hardships of Viking life without first having spent a full day in the life of one working outside in the north of England at the back end of November. This year, for the first time, we are running a pilot residential for children in Year 1 to support their work on Seasons, with a particular focus on Winter – our ‘Winter Wonderers’. This visit is running in December in the middle of the Yorkshire Dales National Park, so children experience being adventurous and active in the cold and potentially (hopefully!) snow and ice. Their understanding of what being a geographer and a scientist is will be enhanced beyond anything that could be learnt in a classroom.